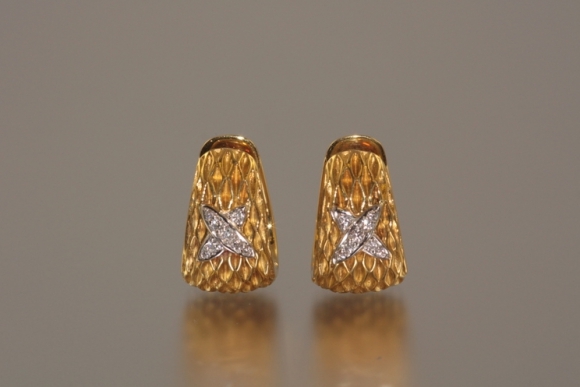 18K yellow gold and diamond earrings. These earrings have a satin honeycomb design with diamond X's. The earrings are designed by Robert Wander of WINC Creations. The earrings measure 7/8" by 1/2".